These questions cannot be answered by an expert. Decisions of this kind involve weighing the interests of one social group against another, present generation against future generations. 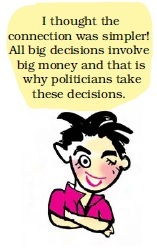 In a democracy such major decisions should be taken or at least approved by the people themselves. It is important to take advice from experts on mining, from environmentalists and from economists. Yet the final decision must be a political decision, taken by people’s representatives who are in touch with the feelings of the people. everyone agreed that the development of India should mean both economic growth and social and economic justice. It was also agreed that this matter cannot be left to businessmen, industrialists and farmers themselves, that the government should play a key role in this. There was disagreement, however, on the kind of role that the government must play in ensuring growth with justice. Was it necessary to have a centralised institution to plan for the entire country? Should the government itself run some key industries and business? How much importance was to be attached to the needs of justice if it differed from the requirements of economic growth? Each of these questions involved contestation which has continued ever since. Each of the decision had political consequence. Most of these issues involved political judgement and required consultations among political parties and approval of the public. That is why we need to study the process of development as a part of the history of politics in India. Ideas of development Very often this contestation involves the very idea of development. The example of Orissa shows us that it is not enough to say that everyone wants development. For ‘development’ has different meanings for different sections of the people. Development would mean different things for example, to an industrialist who is planning to set up a steel plant, to an urban consumer of steel and to the Adivasi who lives in that region. Thus any discussion on development is bound to generate contradictions, conflicts and debates. On the eve of Independence, India had before it, two models of modern development: the liberal-capitalist model as in much of Europe and the US and the socialist model as in the USSR. You have already studied these two ideologies and read about the ‘cold war’ between the two super powers. 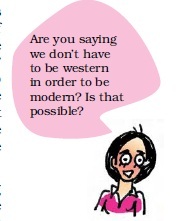 There were many in India then who were deeply impressed by the Soviet model of development. 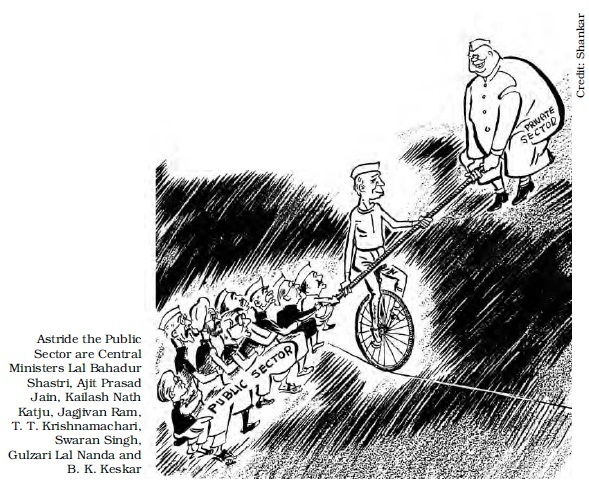 These included not just the leaders of the Communist Party of India, but also those of the Socialist Party and leaders like Nehru within the Congress. There were very few supporters of the American style capitalist development. This reflected a broad consensus that had developed during the national movement. 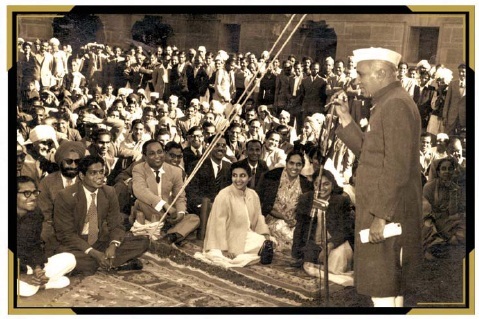 The nationalist leaders were clear that the economic concerns of the government of free India would have to be different from the narrowly defined commercial functions of the colonial government. It was clear, moreover, that the task of poverty alleviation and social and economic redistribution was being seen primarily as the responsibility of the government. There were debates among them. For some, industrialisation seemed to be the preferred path. For others, the development of agriculture and in particular alleviation of rural poverty was the priority. reconstruction of Japan and Germany, and most of all the spectacular economic growth against heavy odds in the Soviet Union in the 1930s and 1940s contributed to this consensus. Thus the Planning Commission was not a sudden invention. In fact, it has a very interesting history. We commonly assume that private investors, such as industrialists and big business entrepreneurs, are averse to ideas of planning: they seek an open economy without any state control in the flow of capital. That was not what happened here. Rather, a section of the big industrialists got together in 1944 and drafted a joint proposal for setting up a planned economy in the country. It was called the Bombay Plan. The Bombay Plan wanted the state to take major initiatives in industrial and other economic investments. 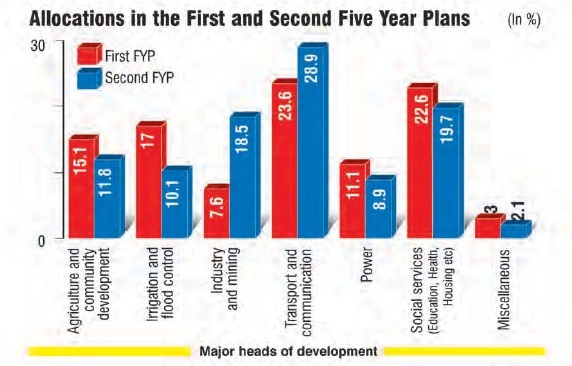 Thus, from left to right, planning for development was the most obvious choice for the country after Independence. 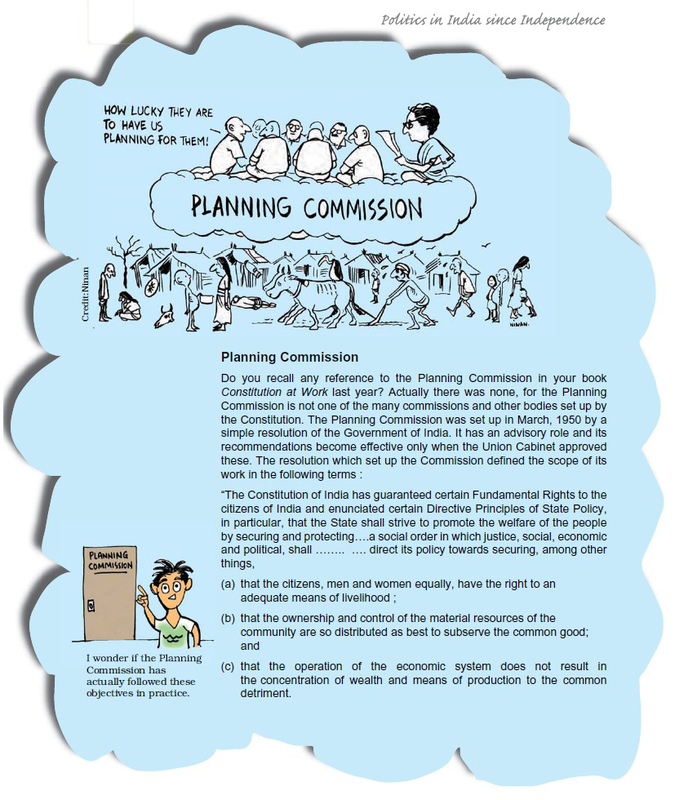 Soon after India became independent, the Planning Commission came into being. The Prime Minister was its Chairperson. It became the most influential and central machinery for deciding what path and strategy India would adopt for its development. on routine items on a yearly basis and ‘plan’ budget that is spent on a five year basis as per the priorities fixed by the plan. A five year plan has the advantage of permitting the government to focus on the larger picture and make long-term intervention in the economy. 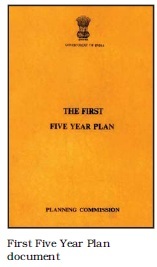 The draft of the First Five Year Plan and then the actual Plan Document, released in December 1951, generated a lot of excitement government and private sector employees, industrialists, farmers, The excitement with planning reached its peak with the launching of the Second Five Year Plan in 1956 and continued somewhat till the Third Five Year Plan in 1961. The Fourth Plan was due to start in 1966. By this time, the novelty of planning had declined considerably, and moreover, India was facing acute economic crisis. The government decided to take a ‘plan holiday’. Though many criticisms emerged both about the process and the priorities of these plans, the foundation of India’s economic development was firmly in place by then. economy out of the cycle of poverty. K.N. Raj, a young economist involved in drafting the plan, argued that India should ‘hasten slowly’ for the first two decades as a fast rate of development might endanger democracy. The First Five Year Plan addressed, mainly, the agrarian sector including investment in dams and irrigation. 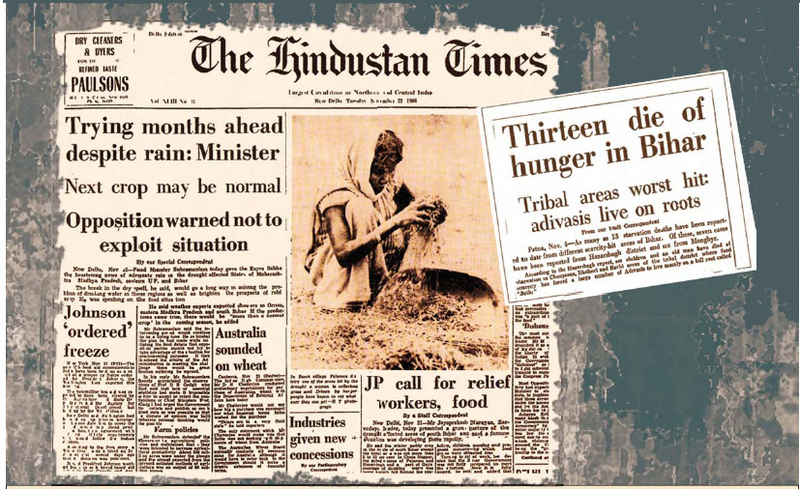 Agricultural sector was hit hardest by Partition and needed urgent attention. Huge allocations were made for large-scale projects like the Bhakhra Nangal Dam. The Plan identified the pattern of land distribution in the country as the principal obstacle in the way of agricultural growth. 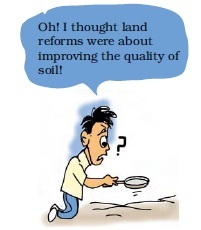 It focused on land reforms as the key to the country’s development. The Second FYP stressed on heavy industries. It was drafted by a team of economists and planners under the leadership of P. C. Mahalanobis. If the first plan had preached patience, the second wanted to bring about quick structural transformation by making changes simultaneously in all possible directions. Before this plan was finalised, the Congress party at its session held at Avadi near the then Madras city, passed an important resolution. It declared that ‘socialist pattern of society’ was its goal. This was reflected in the Second Plan. 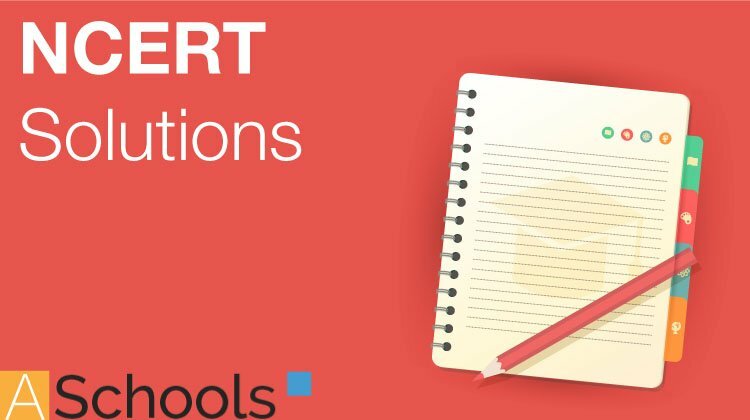 The government imposed substantial tariffs on imports in order to protect domestic industries. Such protected environment helped both public and private sector industries to grow. As savings and investment were growing in this period, a bulk of these industries like electricity, railways, steel, machineries and communication could be developed in the public sector. Indeed, such a push for industrialisation marked a turning point in India’s development. It, however, had its problems as well. India was technologically backward, so it had to spend precious foreign exchange to buy technology from the global market. That apart, as industry attracted more investment than agriculture, the possibility of food shortage loomed large. The Indian planners found balancing industry and agriculture really difficult. The Third Plan was not significantly different from the Second. Critics pointed out that the plan strategies from this time around displayed an unmistakable “urban bias”. Others thought that industry was wrongly given priority over agriculture. There were also those who wanted focus on agriculture-related industries rather than heavy ones. 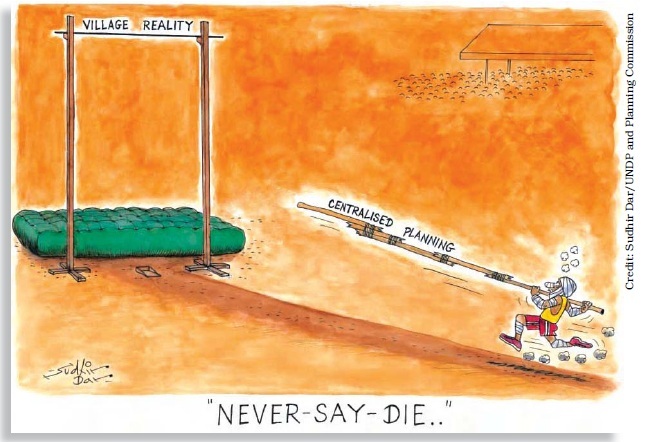 Decentralised planning It is not necessary that all planning always has to be centralised; nor is it that planning is only about big industries and large projects. The ‘Kerala model’ is the name given to the path of planning and development charted by the State of Kerala. There has been a focus in this model on education, health, land reform, effective food distribution, and poverty alleviation. Despite low per capita incomes, and a relatively weak industrial base, Kerala achieved nearly total literacy, long life expectancy, low infant and female mortality, low birth rates and high access to medical care. Between 1987 and 1991, the government launched the New Democratic Initiative which involved campaigns for development (including total literacy especially in science and environment) designed to involve people directly in development activities through voluntary citizens’ organisations. The State has also taken initiative to involve people in making plans at the Panchayat, block and district level. The strategy of development followed in the early years raised several important questions. Let us examine two of these disputes that continue to be relevant. forcefully articulated the case for keeping agriculture at the centre of planning for India. He said that the planning was leading to creation of prosperity in urban and industrial section at the expense of the farmers and rural population. Others thought that without a drastic increase in industrial production, there could be no escape from the cycle of poverty. 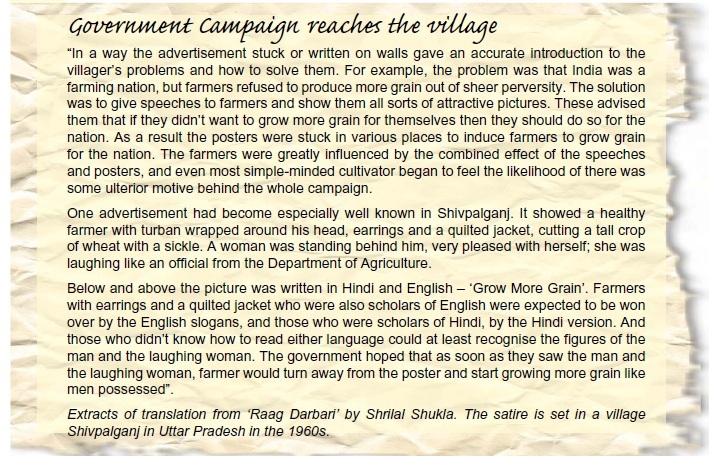 They argued that Indian planning did have an agrarian strategy to boost the production of foodgrains. The state made laws for land reforms and distribution of resources among the poor in the villages. It also proposed programmes of community development and spent large sums on irrigation projects. The failure was not that of policy but its non-implementation, because the landowning classes had lot of social and political power. Besides, they also argue that even if the government had spent more money on agriculture it would not have solved the massive problem of rural poverty. Public versus private sector not accept the capitalist model of development in which development was left entirely to the private sector, nor did it follow the socialist model in which private property was abolished and all the production was controlled by the state. Elements from both these models were taken and mixed together in India. That is why it was described as ‘mixed economy’. Much of the agriculture, trade and industry were left in private hands. The state controlled key heavy industries, provided industrial infrastructure, regulated trade and made some crucial interventions in agriculture. created enough hurdles for private capital, especially by way of installing systems of licenses and permits for investment. Moreover, the state’s policy to restrict import of goods that could be produced in the domestic market with little or no competition left the private sector with no incentive to improve their products and make them cheaper. The state controlled more things than were necessary and this led to inefficiency and corruption. Then there were critics who thought that the state did not do enough. They pointed out that the state did not spend any significant amount for public education and healthcare. The state intervened only in those areas where the private sector was not prepared to go. Thus the state helped the private sector to make profit. Also, instead of helping the poor, the state intervention ended up creating a new ‘middle class’ that enjoyed the privileges of high salaries without much accountability. Poverty did not decline substantially during this period; even when the proportion of the poor reduced, their numbers kept going up. Of the three objectives that were identified in independent India, discussed in the first three chapters here, the third objective proved most difficult to realise. Land reforms did not take place effectively in most parts of the country; political power remained in the hands of the landowning classes; and big industrialists continued to benefit and thrive while poverty did not reduce much. The early initiatives for planned development were at best realising the goals of economic development of the country and well-being of all its citizens. The inability to take significant steps in this direction in the very first stage was to become a political problem. Those who benefited from unequal development soon became politically powerful and made it even more difficult to move in the desired direction. An assessment of the outcomes of this early phase of planned development must begin by acknowledging the fact that in this period the foundations of India’s future economic growth were laid. Some of the largest developmental projects in India’s history were undertaken during this period. These included mega-dams like Bhakhra-Nangal and Hirakud for irrigation and power generation. Some of the this period. Infrastructure for transport and communication was improved substantially. Of late, some of these mega projects have come in for a lot of criticism. Yet much of the later economic growth, including that by the private sector, may not have been possible in the absence of these foundations. laws, they remained only on paper. This shows that economic policy is part of the actual political situation in the society. It also shows that in spite of good wishes of some top leaders, the dominant social groups would always effectively control policy making and implementation. 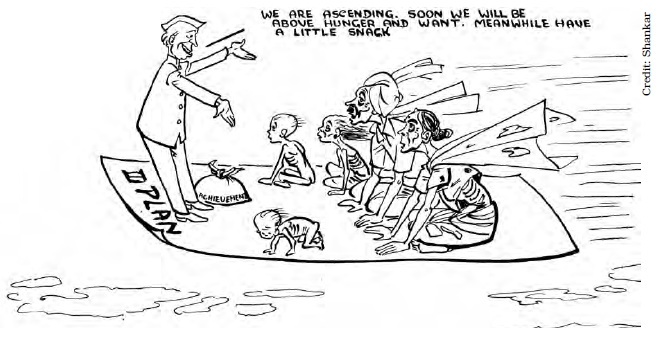 In the face of the prevailing food-crisis, the country was clearly vulnerable to external pressures and dependent on food aid, mainly from the United States. The United States, in turn, pushed India to change its economic policies. The government adopted a new strategy for agriculture in order to ensure food sufficiency. Instead of the earlier policy of giving more support to the areas and farmers that were lagging behind, now it was decided to put more resources into those areas which already had irrigation and those farmers who were already well-off. The argument was that those who already had the capacity could help increase production rapidly in the short run. Thus the government offered high-yielding variety seeds, fertilizers, pesticides and better irrigation at highly subsidised prices. The government also gave a guarantee to buy the produce of the farmers at a given price. This was the beginning of what was called the ‘green revolution’. Based in Anand, a town in Gujarat, Amul is a dairy cooperative movement joined by about 2 and half million milk producers in Gujarat. 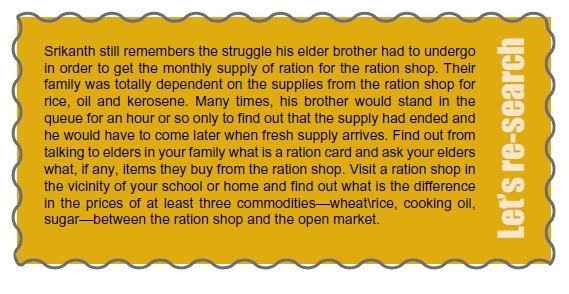 The Amul pattern became a uniquely appropriate model for rural development and poverty alleviation, spurring what has come to be known as the White Revolution. In 1970 the rural development programme called Operation Flood was started. Operation Flood organised cooperatives of milk producers into a nationwide milk grid, with the purpose of increasing milk production, bringing the producer and consumer closer by eliminating middlemen, and assuring the producers a regular income throughout the year. Operation Flood was, however, not just a dairy programme. It saw dairying as a path to development, for generating employment and income for rural households and alleviating poverty. The number of members of the cooperative has continued to increase with the numbers of women members and Women’s Dairy Cooperative Societies also increasing significantly. 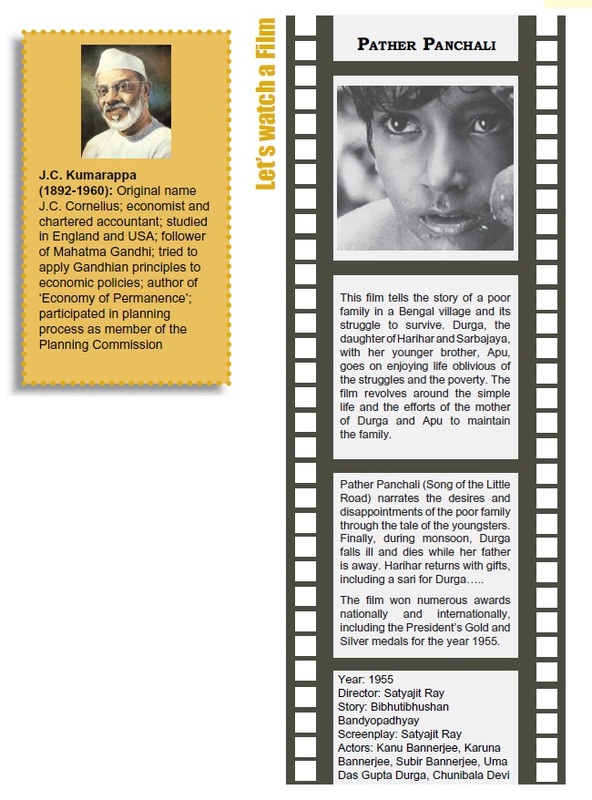 The story of development in India took a significant turn from the end of 1960s. You will see in Chapter Five how after Nehru’s death the Congress system encountered difficulties. Indira Gandhi emerged as a popular leader. She decided to further strengthen the role of the state in controlling and directing the economy. The period from 1967 onwards witnessed many new restrictions on private industry. Fourteen private banks were nationalised. The government announced many pro-poor programmes. These changes were accompanied by an ideological tilt towards socialist policies. This emphasis generated heated debates within the country among political parties and also among experts. However, the consensus for a state-led economic development did not last forever. Planning did continue, but its salience was significantly reduced. Between 1950 and 1980 the Indian economy grew at a sluggish per annum rate of 3 to 3.5%. In view of the prevailing inefficiency and corruption in some public sector enterprises and the not-so-positive role of the bureaucracy in economic development, the public opinion in the country lost the faith it initially placed in many of these institutions. Such lack of public faith led the policy makers to reduce the importance of the state in India’s economy from the 1980s onwards. We shall look at that part of the story towards the end of this book. 1. Which of these statements about the Bombay Plan is incorrect? (a) It was a blueprint for India’s economic future. (b) It supported state-ownership of industry. (c) It was made by some leading industrialists. 2. Which of the following ideas did not form part of the early phase of India’s development policy? 5. What were the major differences in the approach towards development at the time of Independence? Has the debate been resolved? 6. 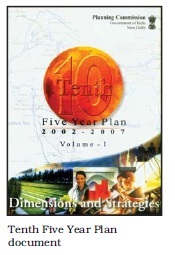 What was the major thrust of the First Five Year Plan? In which ways did the Second Plan differ from the first one? 7. 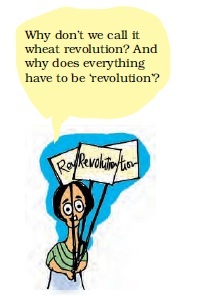 What was the Green Revolution? Mention two positive and two negative consequences of the Green Revolution. 8. State the main arguments in the debate that ensued between industrialisation and agricultural development at the time of the Second Five Year Plan. 9. “Indian policy makers made a mistake by emphasising the role of state in the economy. India could have developed much better if private sector was allowed a free play right from the beginning”. Give arguments for or against this proposition. (a) What is the contradiction that the author is talking about? What would be the political implications of a contradiction like this? 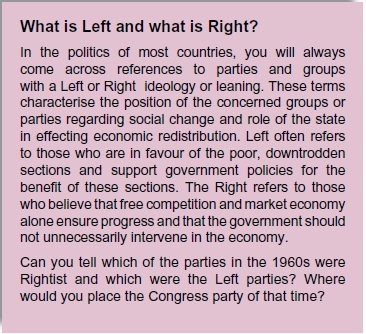 (b) If the author is correct, why is it that the Congress was pursuing this policy? Was it related to the nature of the opposition parties? (c) Was there also a contradiction between the central leadership of the Congress party and its Sate level leaders?